Although it takes only four hours to reach the village of Mutomo by car, it is a world away. Donkeys, goats, and chickens outnumber cars and motorcycles on the dusty, unpaved streets, and neighbors live far from one another. Frequent long droughts alternate with sudden, heavy rainfalls that cause flash flooding that washes away nutrient-rich topsoil and threatens subsistence farming. The number of maternal deaths in Kitui South sub county is extraordinarily high. 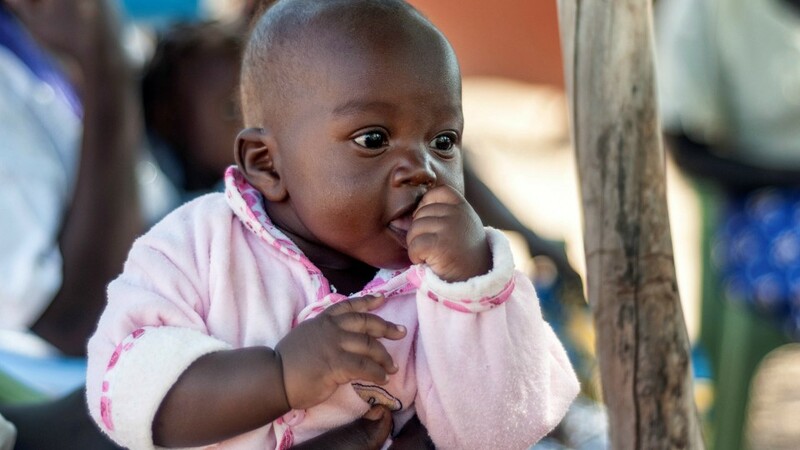 And given that a newborn’s health directly relates to its mother’s, it is not surprising to learn that one in eight children in the sub county does not live to see a fifth birthday. Pre-term birth complications, pneumonia, birth asphyxia, diarrhea, and malaria are the leading causes of death. Kitui South has only six doctors—three at the public hospital and three at faith-based Mutomo Mission Hospital. Only 82 community health volunteers serve the catchment area, and there are just two ambulances, despite the long distances—a significant barrier for pregnant women, young children, the sick, and the elderly. Those able to reach health facilities find services uneven, as basic equipment, essential medicines, and clean water are lacking. Poor health pushes families deeper into poverty in a vicious cycle of poverty and disease. Given the sub county’s poor transportation and suboptimal storage facilities, healthcare facilities are challenged to maintain a reliable supply chain. If a specific medication runs out, replenishment may not be feasible, and a curable illness will go untreated. Access to safe water is a major challenge. Most homes lack safe running water or even an outdoor latrine. Women and girls spend hours collecting water from the few rivers and streams, which are often contaminated with runoff from small farms and domestic waste. Severe drought compounds the difficulties, and after making a long journey on foot, along a dangerous route, local residents may find nothing better than water contaminated or saturated with mineral salts—which they consume, although it could cause diarrhea, cholera, dysentery, or typhoid. In addition, nearly a quarter of all households in the Kenya CHAMPS zone do not have access to any type of latrine. Open defecation perpetuates the transmission of communicable diseases. Most women lack the education, tools, and economic resources they need to raise healthy, educated children. Families average seven individuals per household. The challenges of daily living fall most heavily on women. Supply medical equipment and supplies to Mutomo Mission Hospital and nearby clinics. Provide long- and short-term volunteers to support facility staff—they share knowledge and mentor their Kenyan colleagues. Work with healthcare facilities’ pharmacy operations to eliminate stockouts. Have trained and deployed community heath volunteers to give mothers basic information on family nutrition, danger signs in pregnancy, and how to keep children healthy. Provide improved water to healthcare facilities, primary and secondary schools, and communities. Help families raise crops and small animals to eat and sell and establish village savings and loan associations to provide seed money for entrepreneurship. What is life like in Mutomo? Watch our video to meet baby Titus and his family. 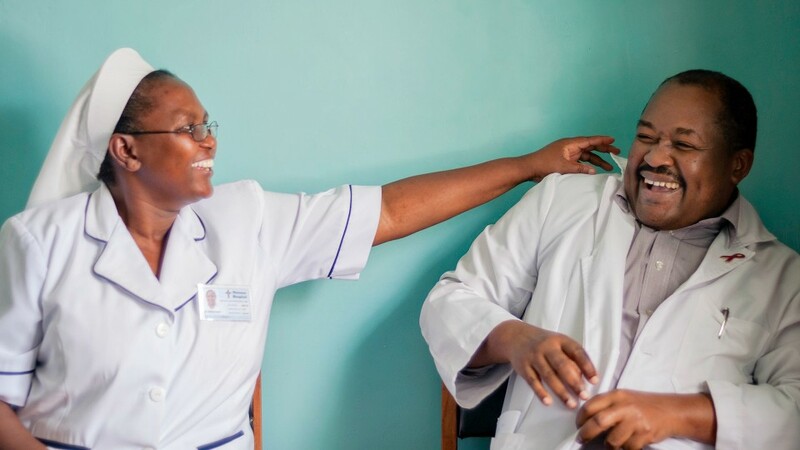 Dr. Amollo and Sister Mary create a culture of compassion at Mutomo Mission Hospital. Every pregnant women who participated in CMMB antenatal programs knew their HIV status, including Regine. 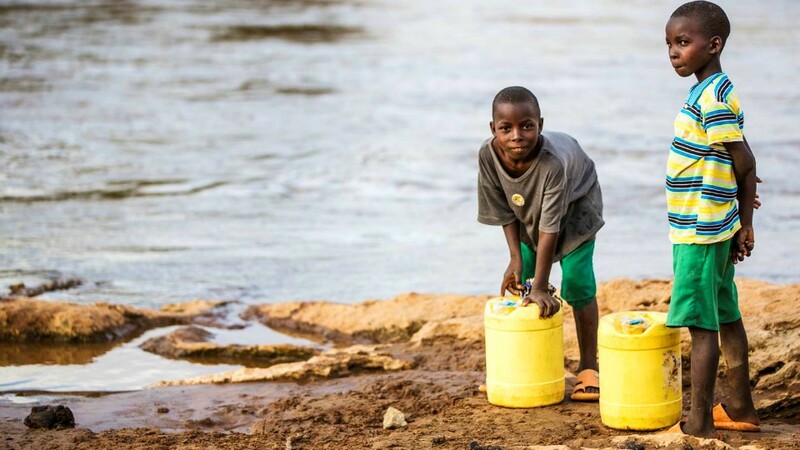 Children in Mutomo are thirsty every day and it's a long, difficult walk to water. Our CHAMPS model is keeping mothers and babies alive. 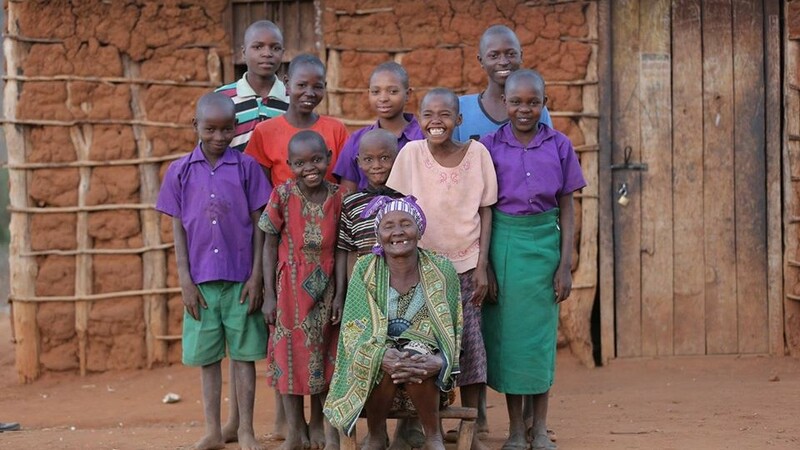 Grandma Grace is a widow taking care of her ten orphaned grandchildren in Mutomo. 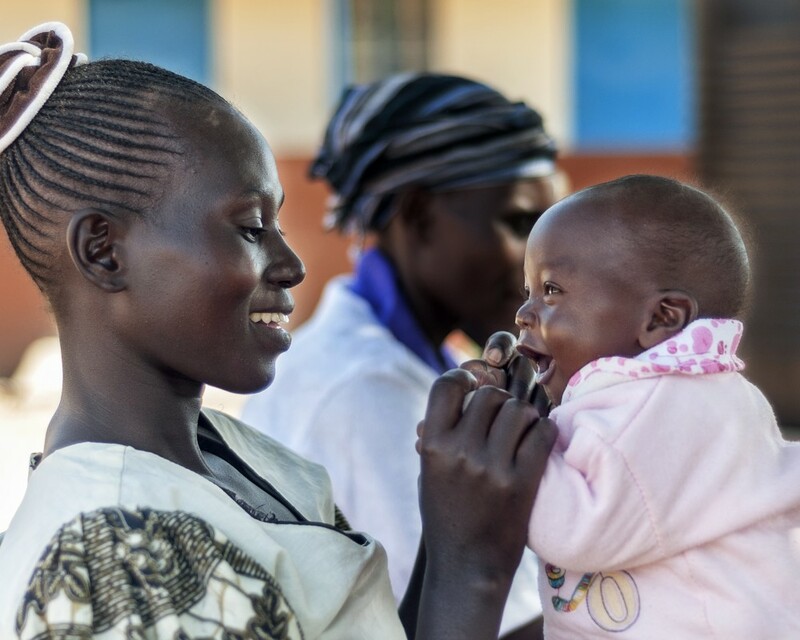 We believe in doing what it takes to give mothers and children access healthcare. 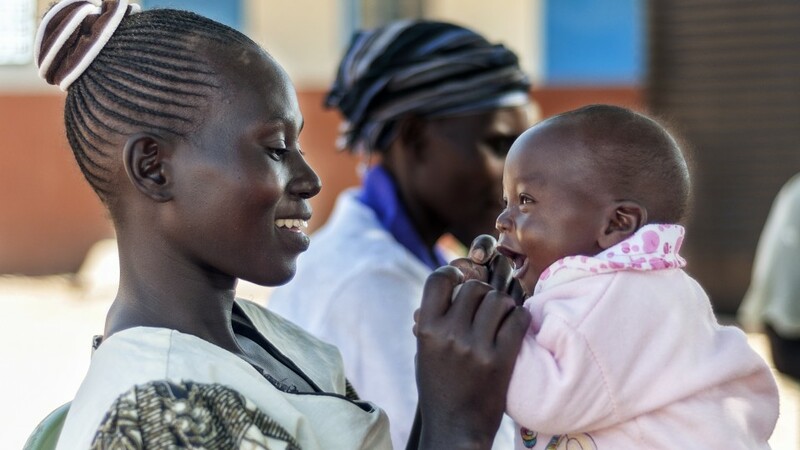 We believe in helping mothers and children stay HIV free. When Regine tested HIV positive during her pregnancy, she made the choice to give her daughter a healthy life. With support from CMMB, Regine enrolled in treatment to prevent mother-to-child transmission of HIV. 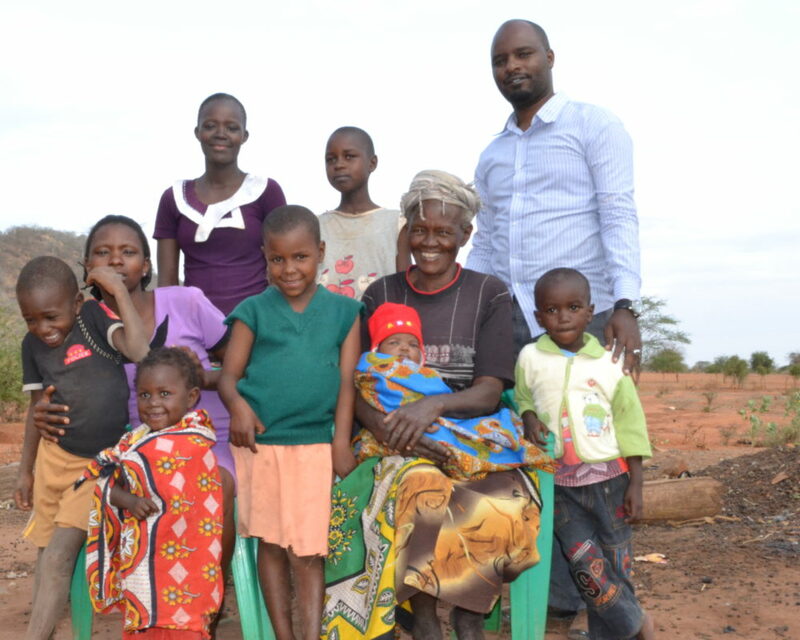 She also joined a support group made up of other HIV-positive mothers, and her little one is growing up healthy and HIV free. We believe in helping communities stay healthy. Finding water is a critical challenge of daily life in semi-arid Mutomo. During rainy season, fresh water can be harvested from roofs into tanks. 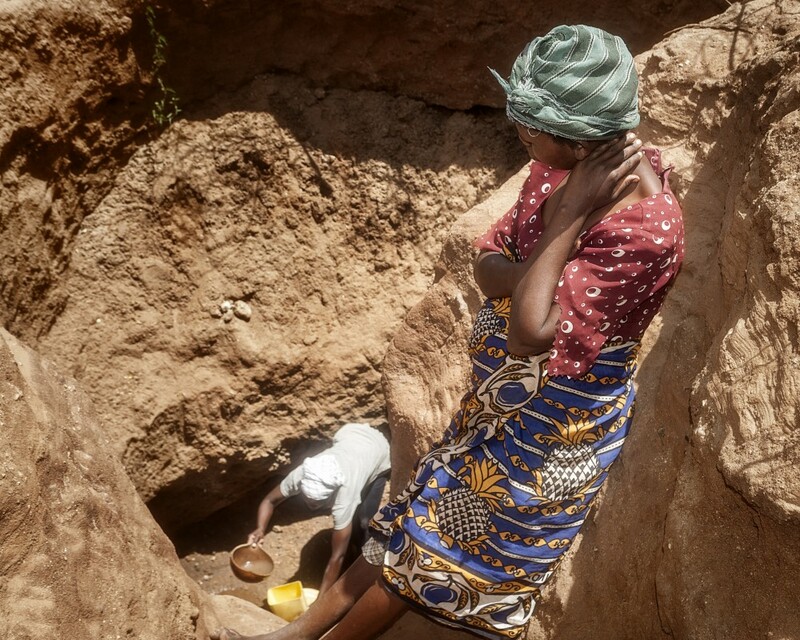 The rest of the year, when river beds are dry, women climb down wells as deep at 15 meters—and this is the only water available. As the area lacks proper sanitation and latrines, water sources are easily contaminated. Many families suffer from diarrheal disease and malnutrition, among other health issues, as a result. CMMB has worked with area residents to end open defecation and initiate latrine building.